Mr. Arison’s qualifications to serve on the Boards include his decades of leadership experience with Carnival Corporation & plc, as well as in-depth knowledge of our business, our history and the cruise industry, all gained through more than 40 years of service with our companies. Mr. Donald’s qualifications to serve on the Boards include his broad leadership and other executive skills gained through his prior executive leadership experience with a Fortune-100 science-based research and development, manufacturing and marketing company, a privately-held company with global operations, and as head of a large international research-based not-for-profit corporation. He also has broad experience in corporate governance, having served as a Director, past and present, of a number of other publicly-traded companies. David Bernstein has been chief financial officer for Carnival Corporation & plc since 2007. He has also been chief accounting officer since April 2016. In this capacity, Bernstein oversees all accounting, planning, treasury, insurance, tax and investor relations functions, as well as global casino operations. Bernstein joined the Corporate organization as vice president and treasurer in July 2003 after serving as chief financial officer of the company's Cunard and Seabourn operating unit for five years. Prior to joining Carnival Corporation & plc, he spent seven years at Royal Caribbean Cruises Ltd. where he held various financial posts, including assistant treasurer, assistant controller and director of corporate planning. Bernstein received his MBA from Harvard Business School in 1983. Julia Brown is Chief Procurement Officer (CPO) of Carnival Corporation & Plc overseeing strategic sourcing and supplier relationship management. She assumed this newly created role in April 2015 and is accountable for working closely with the company's ten brands and their leadership teams to strategically procure goods and services to further strengthen the company's supplier relationships and leverage its global scale across ~$9Bn spend. Brown most recently served as CPO on the global management team at Mondelez International, which split from Kraft Foods in 2012. Prior to the split, Brown served as CPO and SVP of global procurement at Kraft Foods, responsible for the company's $30+ billion strategic sourcing function. Prior to Kraft, she served as CPO and VP of corporate procurement and contract manufacturing at Clorox. Brown began her career at Procter & Gamble and also served in strategic roles at Diageo and Gillette. Brown currently serves on the board for the Executive Leadership Council (Washington DC) and is a member of the Governance committee. She also serves on the board of the Arsht Center for the Performing Arts in Miami. Her focus on helping others both from a health and economic standpoint is evident where she formerly served on the boards of the National Minority Supplier Development Council (NYC), the Primo Center for Women and Children (Chicago), the Ann & Robert Lurie Children’s Hospital (Chicago), and the African American Experience Fund (Washington DC). Brown has been recognized as an inspiring and transformational leader and has been listed as one of the top 100 most "Influential Blacks in Corporate America" by Savoy Magazine (2012-2016), the top 100 Women to Watch by Today's Chicago Woman and listed in Black Enterprise's Top 75 Most Powerful Women in Business. Additionally, she was featured as one of 15 leaders in the book the Luminaries as leader with the aspiration to significantly influence the world. She received a Bachelor of Commerce from McMaster University in Hamilton, Canada and has continued executive education throughout her career. Brown works and lives in Miami, Florida. William Burke, retired Vice Admiral, joined Carnival Corporation & plc in December of 2013, as the Chief Maritime Officer, where he heads the Maritime Policy Department, which is responsible for driving the company’s commitment to safety. A native of Hornell, N.Y., Burke graduated from the United States Naval Academy with a Bachelor of Science in Systems Engineering and completed a Master of Business Administration at Marymount University. He earned a Master of Science degree in National Security Strategy at the National War College in Washington, D.C. and is also a graduate of Massachusetts Institute of Technology Seminar 21 Program in International Politics. Burke served on five submarines including command of USS Toledo (SSN 769). He commanded Submarine Squadron Two from July 2001 to July 2003. His Washington D.C. assignments include tours in the Attack Submarine Division, Navy Office of Legislative Affairs, Joint Chiefs of Staff directorate for Combating Terrorism, Navy Warfighting Assessments Branch, and as the Executive Assistant to the Vice Chief of Naval Operations. Burke’s flag assignments include Commander, Logistics Group Western Pacific/Commander, Task Force 73/Commander Navy Region Singapore; Director, Assessment Division, Director, Quadrennial Defense Review, Deputy Chief of Naval Operations for Fleet Readiness and Logistics, and Deputy Chief of Naval Operations for Warfare Systems. Roger Frizzell joined Carnival Corporation & plc as Senior Vice President of Corporate Communications & Chief Communications Officer on June 24, 2013. Frizzell serves as Carnival Corporation’s chief communications officer, handling all corporate-level communications and public relations activities for the world's largest cruise company, which is the parent company of ten global cruise lines providing extraordinary vacations at exceptional value for millions of people around the world. He has responsibility for corporation’s local, state and federal governmental relations and the Carnival Foundation. Frizzell reports to Arnold W. Donald, President & Chief Executive Officer for Carnival Corporation. Prior to Carnival Corporation, Frizzell was vice president of corporate communications and chief communications officer for Pacific Gas & Electric in San Francisco. During the course of his 30-year career, Frizzell has served as Vice President of Corporate Communications & Advertising at American Airlines for nearly a decade, and has held high-level communications positions at Hewlett-Packard, Lucent Technologies and AT&T. He also played a leading communications role in the successful effort to keep wrestling in the Olympics. Frizzell and his teams have won more than 150 awards, including the National Golden Quill Award from the International Association of Business Communicators and PR Week’s Corporate Public Relations Team of the Year. Frizzell was inducted into the PR News Hall of Fame in 2011 and named by the Holmes Report as one of the top chief communications officers in the public relations industry. Frizzell is a Distinguished Alumni at the University of Oklahoma, where he was a four-time NCAA All-American in wrestling and an Academic All-American. He is married and has five children. 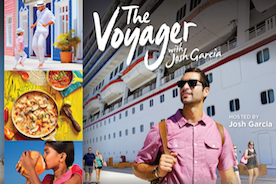 Josh Leibowitz joined Carnival Corporation & plc in 2013 as chief strategy officer and was also named senior vice president, Cunard North America in December 2016, where his additional responsibilities include leading Cunard’s North America operations to further expand the brand’s presence. As Chief Strategy Officer, he oversees cross-brand activities to set and deliver the company’s strategy including: guest insights, revenue management and science innovation, coordinated deployment planning, and strategic sourcing. Previously he served as managing partner of the Miami office of the consulting firm McKinsey & Co., and as a leader in the firm’s work in big data and digital sales and marketing. Jerry Montgomery joined Carnival Corporation & plc in March of 2011, as Chief Human Resources Officer. In this role, he is responsible for developing and implementing corporate human resource management strategies across our worldwide organization, which includes offices in North America, Europe, Asia and Australia. Prior to joining Carnival Corporation & plc, Montgomery was the president and founder of the Orlando Strategy Group, a consulting firm focused on labor relations, human resources, corporate social responsibility and sustainability programs. Prior to founding the Orlando Strategy Group, Montgomery served The Walt Disney Company throughout a 30 year career in progressive human resources, public affairs, and corporate social responsibility roles. He is an active volunteer and community contributor and served as the vice chairman of the Governing Board of the South Florida Water Management District, appointed by Governor Charlie Crist. He presently is the Chairman of the Florida Chapter of The Nature Conservancy. He graduated from Harvard with his Bachelors of Arts degree, and earned a Masters of Business Administration from the Crummer School of Business at Rollins College. Arnaldo Perez joined Carnival Corporation in July 1992 as assistant general counsel. He was promoted to acting general counsel and secretary of Carnival Corporation in 1995 and in 1996 he was named general counsel, responsible for the legal affairs of Carnival Corporation & plc. Prior to joining Carnival, Perez was a partner at Weil, Lucio, Mandler, Croland & Steele of Miami. He earned a bachelor’s degree in accounting from the University of Miami in 1982 and a Juris Doctor (JD) from Columbia University in 1985. Tara Russell is the global impact lead of Carnival Corporation & plc, the world’s largest travel and leisure company. Prior to Carnival Corporation, Russell was Founder and CEO of Create Common Good (CCG, www.createcommongood.org), a non-profit social enterprise that provides training and employment to refugees and a wide variety of other populations with barriers to employment. Russell created CCG in 2008 in order to use food to change lives by empowering for self-sufficiency through a creative food-production social enterprise production model. CCG has delivered more than 100,000 job training hours, with an average employment success outcome of more than 90 percent, and returned more than $18 million back into the community via graduate earned wages. The organization’s noteworthy work to promote healthy eating habits through snack and grab & go production recently earned grants from Newman’s Own Foundation and the Blue Cross of Idaho Foundation for Health. Russell is currently Chairman of the Board for CCG. In 2007, Russell was part of the founding team of Jitasa, a for-profit social venture that provides affordable financial services to the non-profit industry and has become a profitable, global enterprise serving hundreds of global social sector enterprises, including Boy Scouts of America and many other large, scalable impact entities. Jitasa is a certified B-Corporation with offices in the US, Thailand and Bosnia. Prior to this, Russell spent four years in Thailand, where she offered pro bono small business development training to nongovernmental organizations. Russell also co-founded NightLight, an international organization that addresses the complex issues surrounding trafficking and prostitution by offering alternative employment, vocational opportunities, life-skills training and physical, emotional and spiritual development to women seeking freedom from human trafficking and sexual exploitation. Russell started her career with a number of Fortune 500 companies, including roles in product development with Nike; technical sales and marketing at Intel; and engineering and manufacturing with General Motors. While at Intel, she was selected for the Emerging Leaders program and had the opportunity to work with the executive team. During her four years with GM, she was chosen to represent Saturn Corporation in the Shanghai GM New Vehicle Build & Launch Project in 1999 in China. She holds a Bachelor of Science in Mechanical Engineering with Highest Honors from the Georgia Institute of Technology. In 2014, Russell was invited by the World Economic Forum to join their global leader community and to be a Founding Curator for a Global Shapers World Economic Forum Community. She sits on a number of community and advisory boards, including St. Luke’s Health System and Boise State Venture College, and has spoken about social enterprise and impact innovation internationally. Russell is a PRAXIS Fellow, was nominated for an Eisenhower Fellowship, and is a published travel writer. She has received a variety of awards and honors, including: Tribute to Women in Idaho Industry Award; Entrepreneur of the Year by Boise Chamber of Commerce; Accomplished Under 40 award from Idaho Business Review; Atlas Holdings Inaugural Foundation Social Entrepreneurship Partner; and Non-Profit of the Year Award for Create Common Good from Boise Metro Chamber of Commerce. She is married with two children. Greg Sullivan became Chief Information Officer of Carnival Corporation in December 2018 following two years as Vice President of Information Technology with the company. With more than 30 years experience in the effective application of information technology, he is a recognized expert in positioning companies as premier software development, information technology strategy and cybersecurity organizations. Over an 11-year period prior to joining the company, Sullivan served as Chief Executive Officer, Chief Technology Officer and Director of Global Velocity, Inc., a cybersecurity startup focused on information-centric security in the enterprise and cloud. He led the company from the research and development stage to commercialization of intellectual property developed at the Washington University in St. Louis McKelvey School of Engineering. In 1982, Sullivan founded G.A. Sullivan, a global software development services company that grew to more than 350 employees. As CEO, he established growth and led daily operations of the industry leader. He sold the firm to Avanade, a Microsoft/Accenture joint venture, in 2003. He was co-founder and Chief Technology Officer of Hamilton & Sullivan, Ltd, providing microcomputer software and services to the financial industry from 1985-1997. The company created the first online banking system for business-to-business transactions for banks to move into the digital era. He personally developed more than a dozen microcomputer-based banking applications, which were the first of their kind in an emerging industry. Sullivan co-authored a series of four books on computers and his industry recognition includes Inc. 500; Ernst & Young Entrepreneur of the Year; State of Missouri Technology Company of the Year; and United States Small Business Association Small Business Person of the Year. He earned a Bachelor of Science in Systems Science and Mathematics at Washington University in St. Louis and has been a member of the Washington University McKelvey School of Engineering National Council and past president of the school’s Alumni Advisory Council. Felix Eichhorn has been President of AIDA Cruises since September 1, 2015. Eichhorn studied Business Management at the Economic Academy Hamburg. The native of Rostock has accompanied the unique growth of AIDA Cruises in various management positions of increasing responsibility for more than 15 years. Eichhorn started his career at AIDA Cruises in 1999 with a dual studies program. In the following years, he held a wide variety of positions on board and on shore before assuming responsibility for sales and yield management of AIDA Cruises and Costa in Germany as Senior Vice President Sales, Yield Management & Flight Operation in 2013. In May 2014, Eichhorn was appointed chairman of the committee Ship of the German Travel Organization (DRV). Ann Sherry is currently the Executive Chairman of Carnival Australia, the largest cruise ship operator in Australasia. Sherry was appointed CEO of Carnival Australia in July 2007 following a diverse career in banking and public sector. Sherry has played a leadership role in the expansion of the Australian cruise industry including the growth of P&O Cruises’ fleet and the Australian customer base across all Carnival brands. Recruited to Westpac in 1994, Sherry commenced a 13-year career with the organization. Her first eight years with Westpac spanned senior leadership roles within the HR and public affairs functions, and working through key acquisitions (including Challenge Bank and Bank of Melbourne). Sherry's success as Chief Executive Officer of the Bank of Melbourne led to her appointment as Chief Executive of the New Zealand and Pacific banking business. Sherry made a powerful impact in the New Zealand operation, resuscitating the brand in business and retail sectors, as well as turning staff morale around and delivering a real and highly visible Westpac presence in a tightly congested, diverse and participant-rich financial services market. In addition to her business contributions, Sherry instituted some major cultural initiatives at Westpac. In particular, Westpac became an industry leader as a result of the paid maternity-leave policy and the focus on women in business. She has also been instrumental in initiating and delivering an internationally renowned CSR program at Westpac. Sherry was awarded a Cententary Medal in 2003 by the Australian Government and then awarded an Order of Australia in 2004. Sture Myrmell holds the dual roles of President of P&O Cruises Australia and President of Carnival Australia, which is part of the world’s largest leisure company, Carnival Corporation & plc. 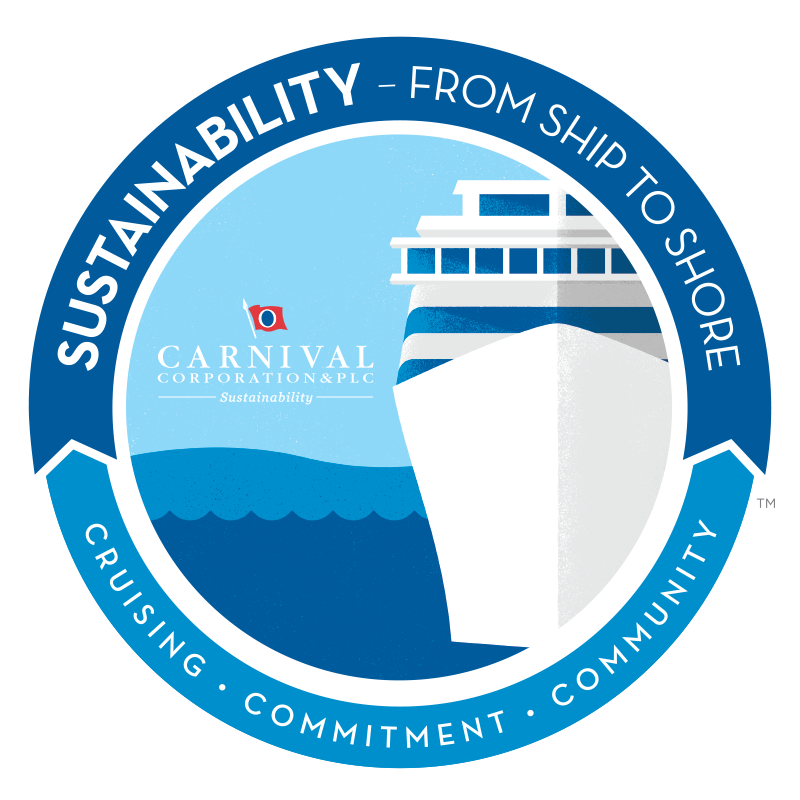 Carnival Australia represents seven leading cruise brands in the Australian and New Zealand market, including Carnival Cruise Line, Cunard Line, Holland America Line, P&O Cruises Australia, P&O Cruises World Cruising, Princess Cruises and Seabourn. Three of its cruise lines – P&O Cruises Australia, Princess Cruises and Carnival Cruise Line – are the only global cruise companies to base ships from Australia year round. Together these brands account for more than 70 per cent of the Australian and New Zealand cruise passenger market, delivering memorable cruise holiday experiences close to home and further abroad. Since January 2016, Sture has held direct responsibility for the P&O Cruises Australia fleet, which is the only cruise line in the world to have its head office in Australia. His remit was expanded in December 2017 when he was appointed President of Carnival Australia with regional responsibility for managing the shared services group that supports a number of internal and external functions across Carnival Corporation’s brands in this market. Sture is a member of the global leadership team at Carnival Corporation & plc and is involved in the development of strategy, policy and operational practices across the business. Sture has an innate knowledge of the cruise industry having held key positions across four Carnival Corporation & plc brands during his more than 20 years with the company, including working onboard as well as direct operational responsibility in shore side roles. Since 2008 he has been core to transforming P&O Cruises and its service delivery into a product that truly reflects modern Australia. During his career, he has also been responsible for Commercial, Guest Experience and Product Development for the cruise line’s fleet in Australia and New Zealand as well as the Fleet Personnel department and Hotel Supply Chain. Prior to Carnival Australia, Sture spent 15 years with Princess Cruises in California and Cunard Line and Seabourn in Florida, covering positions in Food & Beverage, Hotel Operation, Newbuild and Product Development. Sture first started his career at sea with Cunard. Christine Duffy is president of Carnival Cruise Line, the biggest brand in the fleet of Miami-based global cruise industry leader Carnival Corp., the world’s largest leisure travel company. As president, she’s the captain of a company that sails a fleet of 26 ships, annually hosts more than five million guests and employs more than 40,000 people who hail from more than 110 nations around the globe. She joined Carnival Cruise Line in 2015 after a successful tenure as president and CEO of the Cruise Lines International Association (CLIA), the trade association representing the $120 billion global cruise industry. Carnival homeports its ships in North America, Europe and Australia and sails to more than 100 destinations in nearly 40 countries. Christine also oversees major enhancements across the Carnival Cruise Line footprint, including the addition of three more spectacular new ships joining the fleet through 2022, refurbished and modernized ships and port facilities, new onboard dining, entertainment and recreation features, and a state-of-the-art Fleet Operations Center at its Miami headquarters that implements technology used by NASA and the U.S. Navy to monitor operations and improve real-time decision-making. Her “people first” business philosophy makes her an accessible and approachable leader as Carnival leverages its commitment to delivering safe, fun and memorable vacations to its millions of guests and introduces the fun and consumer value of cruising to a growing customer base. Christine embarked into the cruise industry in 2011 when she was named president and CEO of CLIA. While at CLIA, she elevated the industry’s profile before consumers, regulators, industry stakeholders and the media; led the industry’s adoption of the Cruise Passenger Bill of Rights to enhance the industry’s commitment to passenger safety, comfort and care; managed the industry response to several high-profile crises; and consolidated a network of 15 cruise industry organizations into one global association with offices around the world. Prior to CLIA, Christine spent 10 years at Maritz Travel Company, the world’s largest corporate meeting, events and incentive travel company, and served six years as president and CEO, managing a dynamic business with more than $600 million in revenue. In this capacity, she worked directly with a variety of Fortune 500 corporations in the automotive, pharmaceutical, financial services and technology sectors. She sits on the executive committee of the U.S. Travel Association and currently serves as its second vice chair, as well as the Professional Advisory Board of St. Jude Children’s Research Hospital. Christine has been a strong supporter of women’s leadership in the travel industry, leading initiatives that delivered research and programs to help women advance their careers. Christine is also a member of The Committee of 200, an organization of the world’s most successful women business leaders that supports, celebrates and advances women's leadership. She was recognized by Moves magazine as a 2016 Power Women recipient for her work in serving as a role model for future generations of young women. She has also been honored by the Convention Industry Council and the U.S. Coast Guard, among others. David Dingle was appointed Chairman of Carnival UK in October 2014. In this capacity, he has full operating responsibility for the UK-based brands P&O Cruises and Cunard. Prior to this, he served as CEO of Carnival UK from June 2007 to September 2014. Dingle joined P&O Cruises (UK) in 1978 where, after holding a series of commercial positions, he became managing director in 2000. At the time of the merger of P&O Princess Cruises plc and the Carnival Corporation in April 2003, he became managing director of Carnival UK. Dingle is past chairman of The UK Chamber of Shipping and the European Cruise Council and continues to serve on the boards of both groups. In 2009, he joined the board of the European Community Shipowners Association. He has previously served as a director of the Association of British Travel Agents and The UK Passenger Shipping Association. He is a Younger Brother of Trinity House and was awarded a CBE in the 2009 New Year’s Honours. Dingle attended Jesus College, Cambridge, where he attained a Master of Arts in Classics. Josh Weinstein became president of Carnival UK in July 2017. Weinstein is responsible for overseeing both P&O Cruises and Cunard, and reports to Stein Kruse, Group CEO of Holland America Group and Carnival UK. The Southampton-based Carnival UK executive team reports to Weinstein. Weinstein served as treasurer for Carnival Corporation from 2007 to 2017 following five years as an attorney in the corporate legal department. In addition to his treasury role, Weinstein’s responsibilities increased over his career to include oversight of the tax, risk management and FP&A functions. Prior to joining Carnival Corporation, he served as a corporate attorney. He is a graduate of the University of Pennsylvania and the New York University School of Law. A native of New York, Weinstein and his wife have three children. Paul was appointed President, P&O Cruises in 2018. Within his role, Paul is accountable for the revenue delivery and guest experience for P&O Cruises, along with the continued brand development of the UK’s market leading cruise line. Previously Managing Director, UK & Europe for Princess Cruises, Paul led commercial operations in the UK and across 16 European offices, tasked with establishing and developing Princess’ largest market outside of North America. During his time in Princess, Paul oversaw initiatives to promote growth across these markets. Before his time with Princess, Paul held a number of senior sales and commercial based positions within Carnival UK, encompassing a portfolio of brands including P&O Cruises, Princess Cruises, Cunard, Swan Hellenic and Ocean Village. As President of Cunard, Simon is in charge of overseeing Cunard's performance. He manages the Cunard fleet of three ships which includes the world's only operating ocean liner, the Queen Mary 2. Since joining Cunard in April 2016, Simon has overseen several high profile launches and campaigns including Cunard's £90 million investment in Queen Mary 2's 'Remastering', the first Cunard Transatlantic Fashion Week and the launch of Cunard's first brand film. Simon will shortly be overseeing the commissioning of Cunard's fourth ship, it's first new ship in 12 years. Before joining Cunard, Simon held senior roles at Terra Firma Capital Partners, PepsiCo, Avis Europe Plc. and John Lewis. While at John Lewis, Simon served as Managing Director for John Lewis’ online business and while at Avis Europe Plc he served as Group Commercial Director. Immediately before joining Cunard, Simon spent four years managing a portfolio of online businesses in the specialty food, chocolate, cosmetics and ticketing industries. In addition to managing the Cunard brand, Simon has been involved with many Cunard initiatives that focus on giving opportunities to tomorrow's generation, including the Prince's Trust. Michael Thamm is Group CEO, Costa Group & Carnival Asia, responsible for Costa Group, the market leader in Europe, as well as all operations for Carnival Corporation in Asia. In this role, he manages the development of the group’s leading presence in Europe and Asia, including China, Hong Kong, Taiwan, Japan and Korea. With a career spanning over 30 years in the cruise and shipping industry, he is one of the foremost experts in the cruise sector. Since 1993, he has been a key player in developing the cruise market in Germany, positioning AIDA Cruises as the market leader. As president of AIDA Cruises from 2004 to 2012, he initiated a new building program that saw the fleet increase by one vessel each year between 2007 and 2013. In 2012, he was appointed group CEO to lead the global business of Costa Group, which includes Costa Cruises, AIDA Cruises and Carnival Maritime. In addition to this role, in January 2017 he was named group CEO, Costa Group and Carnival Asia, further expanding his responsibility. In January 2019, he was appointed chairman of Cruise Lines International Association (CLIA) Europe. Costa Group, which includes Costa Cruises and AIDA Cruises, is the market leader in Europe and China with 27 ships and more than 80,000 berths. The company will add six new ships to its fleet by 2023: four ships for Costa (two for Europe and two for Asia) and two ships for AIDA. Costa Group is part of Carnival Corporation & plc, the world's largest leisure travel company. Mario Zanetti was promoted to president of Costa Group Asia, effective from August 2017. He is responsible for expanding the company’s leading presence in Asia, covering China, Hong Kong, Taiwan, Japan and Korea. He also plays a pivotal role in leading Costa Cruises to contribute to developing a healthy eco-system in the cruise industry. A veteran in the cruise sector with over 20 years of industry experience, Mr. Zanetti began his career in the late 1990s when he joined Costa Cruises in the company’s headquarters in Genoa, Italy. Over the last two decades, he has held various key positions, most recently President of Carnival China. Prior to that, Zanetti served as Senior Vice President of Revenue Management & Itinerary Planning for Costa Cruises, where he led teams across pricing and retail strategy, revenue management, itinerary and shore excursion planning, as well as air & sea operations. Mr. Zanetti studied maritime economy at Università degli Studi di Genova and completed his executive education by attending general management programs at Insead Business School. Neil Palomba was appointed President of Costa Cruises in February 2015. Palomba joined Costa Cruises as Senior Vice President Hotel Operations & Guest Experience in January 2014. Under Palomba’s guidance, Costa achieved many improvements for guests experience onboard. In addition, he played a key role in developing the new Costa positioning based on the concept of offering “Italy’s finest”, also implementing partnership with famous Italian brands like Illy, Barilla, Agrimontana, Luigi Biasetto and Guido Gobino. Palomba and his team’s contribution also included Costa neoCollection, the new “slow cruising” style launched by Costa onboard smaller ships, and important innovations regarding food & beverage, onboard entertainment and new products designed to engage guests. In his position as President of Costa Cruises, he plans to guide the organization to secure a profitable future through the delivery of innovative and customer oriented solutions with passion, style and quality. Prior to joining Costa, Palomba held various positions with MSC Cruises, ultimately serving as MSC Corporate Operating Officer. From 2010 to 2013 he was also Chairman of the Ports and Infrastructure Sub-Committee of European Cruise Council, representing the main European cruise lines (now CLIA Europe). Stein Kruse was promoted to Group CEO of Holland America Group and Carnival UK in July 2017. Kruse works closely with Michael Thamm, Group CEO of Costa Group and Carnival Asia, to build on the collaborations with Carnival Europe and Asia Technology and Carnival Maritime Nautical to support the ships of AIDA, Costa Cruises, Costa Asia, Cunard and P&O Cruises and to identify other collaborative opportunities. Kruse became Chief Executive Officer of Holland America Group in December 2013. In that capacity, he had full operating responsibility of Holland America Line, Princess Cruises, Seabourn and Holland America Princess Alaska Tours. He was president and chief executive officer of Holland America Line from 2004 to November 2013. Kruse joined Holland America Line in 1999 as senior vice president, fleet operations with overall responsibility for all Holland America Line's operations. Kruse joined Holland America Line from "K" Line America, where he was senior vice president and chief financial officer. He also oversaw financial activities in seven U.S. subsidiary companies for the global Japanese shipping company and served on the company’s board of directors. Prior to that, Kruse held several executive positions in the cruise industry. He was executive vice president and chief operating officer for Radisson Seven Seas Cruises and president and CEO for Seven Seas Cruise Line. He is a former vice chairman of Cruise Lines International Association (CLIA) and presently serves as a director on the board of the United States Coast Guard Foundation and on the board of governors of the World Trade Center Seattle. Kruse, a native of Oslo, Norway, holds a Bachelor of Science degree from Purdue University and is a graduate of Harvard Business School's Advanced Management Program. Orlando Ashford joined Holland America Line as president on December 1, 2014, to lead the award-winning cruise line's brand and business, including its fleet of 15 premium vessels carrying approximately 850,000 guests annually to all seven continents. Ashford will oversee Holland America Line’s sales and marketing, revenue management, deployment and itinerary planning, public relations, hotel operations and strategy. He will report to Holland America Group CEO Stein Kruse and will be part of the Group’s executive leadership team alongside brand leaders Jan Swartz, president of Princess Cruises; Richard Meadows, president of Seabourn and president of Cunard North America; and Ann Sherry AO, chief executive officer, Carnival Australia. Prior to his role at Mercer, Ashford served as senior vice president, chief human resources and communications officer of Mercer's parent company, Marsh & McLennan Companies. He also has held several other leadership roles during the course of his career, including group director of human resources for 90 countries in Eurasia and Africa for the Coca-Cola Company and vice president Corporate Center human resources and cultural transformation. Previously he was vice president of global human resources strategy and organizational development for Motorola, Inc. where he helped modernize the human resources function for the global tech leader. Ashford’s recently published book, Talentism, addresses the global disconnect between available jobs – more than one-third of employers worldwide cannot fill all available jobs – and the estimated 202 million eligible workers who are unemployed worldwide. Ashford examines how technology and human networks can help bridge the skills gap, improve business performance, and lead to the betterment of society at large. Ashford is on the Board of Directors for a global manufacturing company ITT Corporation. He is among the National Association of Corporate Directors (NACD) 2013 and 2014 “Directorship 100,” and has been honored as a Purdue University School of Technology Distinguished Alumnus. An active community supporter, he is on the Board of Directors for the Executive Leadership Council, the preeminent membership organization for the development of global black leaders, and for Streetwise Partners, an organization that brings together low-income individuals and volunteer business professionals to develop workplace skills and employment networks. He earned a Bachelor of Science degree and Master of Science degree in Organizational Leadership and Industrial Technology from Purdue University. Ashford will relocate from the New York City area to the Holland America Line headquarters office in Seattle. Jan Swartz was promoted in 2016 to the role of group president of Princess Cruises and Carnival Australia, responsible for shared services for Carnival Corporation. Also added to her portfolio is executive oversight of P&O Cruises Australia brand. She continues to lead Princess Cruises, the third largest cruise line in the world (based on capacity) comprised of a fleet of 17 modern ships that serve over 1.8 million guests annually. As a vacation brand recognized globally, Princess employs more than 28,000 people and operates in more than 60 countries. Swartz was appointed president of Princess Cruises in November 2013, after more than 15 years working with the cruise line. Prior to this, she served as executive vice president overseeing the line’s sales, marketing and customer service operations, a position she held since 2009. In this role, she directed many of the line’s key departments including domestic and international sales, global marketing and public relations, commercial planning, yield management and customer service for both consumers and retail business partners (travel agents). She has been at the forefront of the industry in developing innovative educational programs, like the award-winning Princess Academy and business-building tools for travel agents like OneSourceCruises.com. Previously, Swartz served as senior vice president of sales and customer service for both Princess and sister brand Cunard, beginning in 2004. In 2001 she was appointed vice president of strategy and business development, and worked on the P&O Princess acquisition by Carnival Corporation. Additionally, Swartz is president of the Princess Cruises Community Foundation, a non-profit public benefit corporation that provides financial and in-kind support to charity and relief organizations. In this role, she guides the foundation’s mission that serves to touch the lives of the people in the destinations the cruise line visits, the places where employees are from and through education and perseveration of natural and historical global landmarks by responding to disaster relief and supporting global communities’ local health and welfare efforts. Swartz holds a Master of Business Administration degree from Harvard Business School and earned a Bachelor of Arts degree in Economics and English from the University of Virginia. She and her husband live in the Los Angeles area with their two daughters. Richard Meadows is president of Seabourn, Carnival Corporation’s ultra-luxury brand. In this role, Meadows has overall executive responsibility and leads all business and global operations for the award-winning luxury cruise line. He has held this position since 2011, when the company moved its headquarters to Seattle from Miami. Between 2014 and 2016, Meadows also served in an additional leadership role as president of Cunard – North America, and assumed operating responsibility for the iconic Cunard brand throughout the North American continent. Prior to his appointment at Cunard, Meadows was in a dual-capacity role, serving as both president of Seabourn and executive vice president of Marketing, Sales and Guest Programs of Holland America Line, where he had global revenue responsibility. Among his previous roles, he was senior vice president of Sales and Marketing for Seabourn; vice president of Corporate Marketing at Carnival Corporation; and vice president of Sales and Marketing with Windstar Cruises, a former subsidiary of Holland America Line. He also served as director of sales for Carnival Cruise Lines, beginning his career with Carnival Corporation in 1985. An active advocate for the cruise and travel industries, Meadows is a member of the board of directors for the Cruise Lines International Association (CLIA) in North America, and is a frequent speaker at industry forums and events. In the Seattle area, he was appointed by former Washington Governor Christine Gregoire to the Washington State Tourism Commission, and he has served on the board of directors of the Seattle Repertory Theatre.